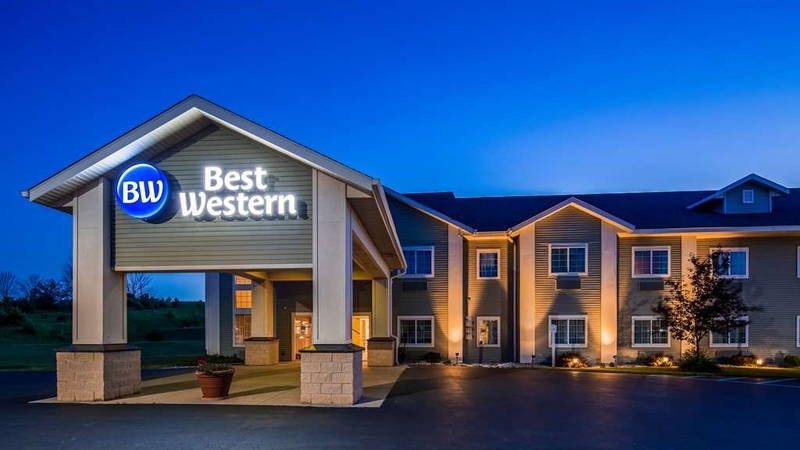 El Best Western Scenic Hill Resort se encuentra en el centro de Beulah. Venga y disfrute de las mejores atracciónes turísticas cerca de nuestro hotel. Precios bajos garantizados y ofertas exclusivas. Aquellos huéspedes que tengan previsto realizar una romántica escapada o un viaje en busca de aventuras podrán disfrutar de todo lo que necesitan en nuestro hotel de Beulah. El centro vacacional Crystal Mountain Resort está situado a poca distancia en auto de nuestro hotel de Beulah y se ha convertido en el enclave favorito de numerosos viajeros. Por supuesto, un viaje a la región no está completo sin una visita al faro de Point Betsie. Tanto si desea realizar las mejores fotografías para sus próximas vacaciones como si simplemente desea disfrutar de una escapada, podrá encontrar todo lo que busca en nuestro hotel. El invierno es la época perfecta para explorar las rutas para motos de nieve del condado de Benzie. Los viajeros ávidos de aventuras podrán disfrutar de las rutas de senderismo y pasar un tiempo de calidad relajándose junto a amigos y familiares. Sin embargo, durante el verano podrá disfrutar también de actividades de recreo y de la belleza del área natural Sleeping Bear Dunes National Lakeshore. Nuestro desayuno continental caliente gratuito le permitirá comenzar su mañana de la mejor forma. Disfrute de un bufé con gofres, pasteles dulces, fruta fresca, yogur, cereales, jugos fríos y café 100% Arabica. El Festival Nacional de la Cereza en la vecina ciudad de Traverse City atrae asimismo a numerosos visitantes. En las inmediaciones de nuestro hotel de Beulah podrá encontrar una gran variedad de vibrantes actividades durante todo el año. Desde el evento Benzie Fall Fest hasta las visitas al faro Frankfort Pier aquí podrá encontrar una gran variedad de actividades en familia. Pase el día pescando en el Lago Crystal o visite los casinos Turtle Creek o Little River, ambos situados a sólo 30 minutos de distancia. Tanto si se encuentra enla ciudad en viaje de placer como de negocios, puede contar con nuestro hotel de Beulah para celebrar reuniones, alojarse durante su viaje o permanecer conectado de manera fácil en todo momento. También ofrecemos espacio para reuniones o pequeñas fiestas de cumpleaños. Nuestro hotel está a su disposición para proporcionarle todo lo que pueda necesitar durante su viaje. Reserve su próxima estancia en el Best Western® Scenic Hill Resort para disfrutar de una magnífica relación calidad-precio. Disfrute de su estancia en nuestro hotel. Everyone working there was extremely nice and courteous. The room was clean. The breakfast was okay, however the food was over cooked. The location is away from the attractions but it's not awful. We enjoyed our stay. Dear Guest, Thanks for the stay at the Best Western Scenic Hill Resort and the review. Glad to note that you liked the stay and endorsing your good experience here. We take real pride in welcoming guests like you and offering the very best services to make their stay a memorable experience. Please do visit us again. Sincerely, Hotel Manager. "We would stay there again!" Hotel was clean, rooms very neat and fresh (no closed up smell when we walked in). Bathroom was VERY clean, even the corners and well stocked with amenities. Breakfast area was well maintained and stocked with food. If something ran out, you only had to ask the person working and she restocked immediately. Swimming pool was clean and well stocked with towels. Hot tub was outside and running and a pleasant surprise because it was different! The front desk employees were knowledgeable when asked where to eat in the area. We would stay there again! Dear Valued Guest, Thanks for the stay and the positive review. Glad to note that you liked the location, customer service, and breakfast. It is our privilege to have clients like you. For us, customer satisfaction is the best reward for whatever we offer. We look forward to welcoming you again soon!!! Best Regards, Hotel Manager. A great place to get away from the busyness of life. Close to skiing and lake depending on season. A few quaint little towns near by. If you need to slow down for a day or two this might be right for you. "Nice place to stay before going to Crystal Mountain "
Our family has stayed here twice. It works out well for us to drive from Ohio, stay here, and then check in to Crystal mountain resort and start skiing the next morning. Convenient location. Clean all around good place to stay. Good variety in the included breakfast. Staff was friendly. During ski season I recommend booking well in advance because they fill up quickly with ski tournaments. Dear Guest, Thank you for staying at the Best Western Scenic Hill Resort and for the nice review. We are overwhelmed to see that you liked the stay and also enjoyed the amenities. You are one of our privileged guests and we are proud to serve you. We look forward to seeing​ you again at the earliest. Regards, Hotel Manager. "Great value for a quick stay"
I was attending a two-day conference at another resort in the area. Instead of staying at that resort, I opted for the BW and I'm so glad I did. I only stayed one night, but was very pleased. There were a number of amenities available, including breakfast and wifi, both of which I would have had to pay for at the pricier resort. I arrived after the first day of the conference (so close to dinner-time) and was quickly checked in. The room was large and clean and the front desk provided me with some great recommendations of places to go grab a bite for dinner. The bed and pillows were comfortable and the breakfast the next morning was fresh and quick. The only real negative was that the fridge in the room was a little loud when it was running. It didn't really bother me, but I could see how it might bother a light sleeper. If back in the vicinity, I would stay here again. Hello Racheal, Thanks for the stay at the Best Western Scenic Hill Resort Beulah and the great feedback. It is really encouraging and empowering us to better our services. We feel proud when we get such reviews. Look forward to welcoming​ you again. Sincerely, Hotel Manager. "Down to earth friendly accomodations"
This hotel offers several amenities (pool, exercise room, breakfast) included in it's reasonable price. It is clean and hospitabile. My husband and I took 4 of our grandchildren skiing at an area resort but stayed here. It is great value. Dear Valued Guest, Thanks for staying at the Best Western Scenic Hill Resort Beulah Benzie County and the great review. Glad to note that you liked the location and hospitality of our hotel staff. It is a pleasure to serve guests like you and your comments shall encourage us to better our hospitality. Happy to hear that you will visit us again. Regards, Hotel Manager. Very comfortable room. Breakfast was continental, but almost as if it was a sit down restaurant quality. Friendly staff. Clean, comfortable. Shower and bathroom was nice. Water pressure was good. Was a little diasappointed in the non HD tv programming. Dear Valued Guest, Thank you for choosing the Best Western and giving the opportunity to serve you. Glad to note that you liked the room, beds, ​and location. We are privileged to have you as a guest. We look forward to seeing you again!!! Sincerely, Hotel Manager. Having stayed at this Best Western before and having had a decent experience, I want to be as fair as possible with this review. I will begin with the positive.. the room was nicely appointed (comfortable bed) and it was as clean as a whistle. With our most recent stay there were some issues with the certainty of our reservation.. we did not receive an email confirmation until we called back to confirm. Additionally, on our way to the hotel on the day of our stay we received an email thanking us for staying and telling us what a pleasure it was to have us as guests the previous night! Upon check-in we discovered that the room was not as described when we made our reservation.. we booked a king suite with a pull-out but we were given a king room and a rollaway bed was brought in. 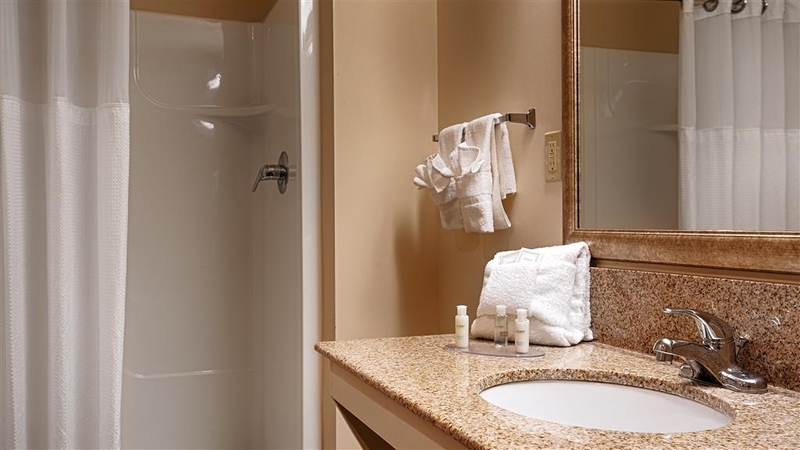 The room included a jacuzzi tub which was out of order and had been for some time (per the front desk clerk). I did go down to the front desk to sort things out and, to their credit, they did offer me another room. However, the room was considerably smaller and we would still have to find room for the rollaway bed. We opted to remain in our original room. In the morning our cable tv service went completely out. As an added aggravation, housekeeping decided to vacuum the hallway outside of room very early in the morning, Upon check out I did speak with the GM who graciously refunded a portion of our bill. However, I did not receive a satisfactory explanation as to why the room was rented to my family at the full rate when t was not fully operational and I was not satisfied when I was told that my cable went out because of poor service in the area despite the fact that the televisions in the common areas of the lobby were working just fine. I rated the hotel as average only because of my favorable past experiences and because the GM did refund part of my stay. However, I will likely seek alternative lodging in the area rather than risk the aggravation. As a side note, I responded to the corporate-generated satisfaction email survey with this information and received what appears to me to be a "form email" from the GM that was filled with generic platitudes. "A cold night in Beulah, Michigan ..."
Dear Valued Guest, Thank you for your patronage to the Best Western Scenic Hill Resort, ​Beulah. We appreciate you spending the time to share your experiences with us and shall surely share your kind words with the team. Our team is delighted to hear that you enjoyed our facility and services and we sure we will maintain the same kind of enthusiasm and service in the future. Have passed on your praise to our hospitality team leader Nicole who will be delighted to hear about your comments as well as the housekeeping team who will be delighted to hear that you were impressed by the cleanliness of the rooms. We look forward to welcoming you back in the near future. Sincerely, Hotel Manager. Our family recently spent the weekend skiing at Crystal Mountain. We opted to stay off site verse paying the big bucks at the resort. First off, pulling into the Best Western Scenic View in Beulah, the parking lot is enormous and well lit. The lobby is very enviting and welcomed us right in. My kids sat by the fireplace in the lobby while I checked in. We had a 2 queen bed room and it was very clean. The beds and pillows were very comfortable and I slept like a baby 2 nights in a row. Besides having an indoor pool and outdoor hot tub that my kids loved, our favorite was the breakfast. High quality, huge selection of food to choose from each morning. The staff is very attentive and available. We will definitely stay here again. Great place and great value. Dear Valued Guest, Greeting from the Best Western Scenic Hill Resort. It is really nice to note that you liked the stay and services at our hotel during your recent visit Glad to see your positive observations which shall definitely make us run that extra mile. We look forward to welcoming you again soon!!! Best Regards, Hotel Manager. Trail head is only a few minutes away. Nice big parking lot to accomodate truck and trailer. I was suprised at the choices and quality of the included breakfast. I only wish the outside hot tub was not outside. Burrrr. Dear Valued Guest, It is really nice to note that that you liked the stay and services at our hotel during your recent visit Glad to see your positive observations which shall definitely make us run that extra mile. We look forward to welcome you again soon!!! Best Regards, Hotel Manager. We had a very pleasant stay and enjoyed the breakfast and the room. Good location and easy access. Nicely designed room with nice pictures. Very clean and comfortable. Very pleasant and helpful staff . My husband and I stayed here for the weekend as we were exploring The Sleeping Bear Dunes and Traverse area. We were looking for somewhere to stay in the area for less than $200/night and somewhere that was nice. We definitely found it! The staff was extremely friendly and helpful. The room was clean, beds were comfortable and breakfast was delicious with lots of options. The only cons is that the walls were quite thin so we could hear every door that closed in our hallway and I am a light sleeper. The hotel itself is older- and you can tell from the lobby, elevator, etc. but the rooms have been updated. I would recommend staying here! It's a great price for a great place in a beautiful area! Colors were gorgeous during the last weekend in October and we loved exploring Sleeping Bear and Glen Arbor which was only a 15 min drive. Dear Valued Guest, Thanks for the stay at the Best Western Scenic Hill Resort and the positive review. Glad to note that you liked the location, customer service, and breakfast. It is our privilege to have clients like you. For us,​ customer satisfaction is the best reward for whatever we offer. Your comment about the thin walls has been reported to the management. We look forward to welcome you again soon!!! Best Regards, Hotel Manager. "Great location for fall leaf peeping"
We spent 3 nights here while doing a color tour of the Leelanau Peninsula. 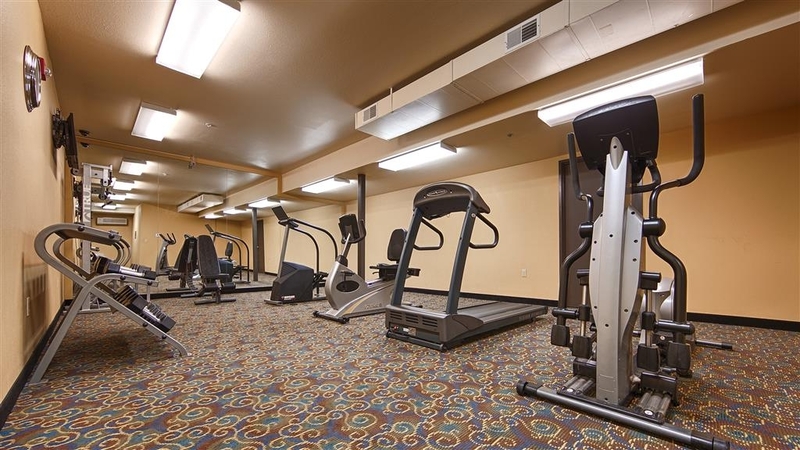 The hotel is in a great location, nice clean facility with a very friendly staff. The room was clean and comfortable with a good TV and free WiFi. The bed was very comfortable, however the pillows were hard as rocks. The free breakfast was ok. We'll for sure consider this hotel again when we return next year to see the beautiful fall colors. Thank you for your review, we look forward to your return. Thank you for your review. I'm happy to hear you had a great time and we hope to see you guys again! We reserved this hotel for the way back on our trip, wife and I slept fine! King bed room on road side, I'd get lake side! Spacious room with mini micro burner and fridge! Water was pulsing the morning we took showers! It worked 4 us! Thank you for giving us a review. "Only if there are no other options!" Do not stay here unless you don't care about simple maintenance items being taken care of. Paid $140 to sleep on a terrible mattress, sat in a hot tub where the jets didn't work (based on previous reviews, this has been an issue for a long time), light bulbs burned out throughout facility, had a "breakfast" where no staff was present to keep items stocked, no coffee, and food that looked as if were recycled from days earlier. Non-caring staff. I would recommend sleeping in your car. Thank you for your review Randy, we will use it to implement the appropriate changes needed. "Nice place near the lake"
Thank you for your kind review of your recent stay at our property. We hope to see you again! "I think this place has improved quite a bit in the past year"
I have never thought that this place was very well run, until our stay in July of this year. (2018). I thought the room was cleaner, and the help was better trained. We have stayed here multiple times over several years and this stay was the best. Thank you for taking the time to give us a review. We appreciate your feedback and we also appreciate your business. My husband and I stayed 2 nights here so that he could be near a work conference. It is a 2 star hotel, and it lives up to that designation. The room and bathroom were very clean. However, it was loud late in to the night for our stay. It appeared to us that this hotel might have a "party hotel" reputation. There were kids running and yelling in the hallways. Adults opening and closing doors often as they left to smoke, etc. The doors do not have a soft close function, so we were awakened all night long by the coming and going. The staff was friendly, but there seemed to be something weird going on. We couldn't quite put our finger on it, but the whole place made us feel uncomfortable. Thank you for your patience during the wedding fiasco. Your business is appreciated. "DO NOT book with this hotel!!!" DO NOT DO NOT DO NOT stay at this hotel!!!! I booked a room for two nights through Hotels.com for 7/11 - 7/13. I cancelled the reservation on 6/6/18. The hotel still charged me $269.99. I called them and they said they would not refund my money because I hadn't cancelled the reservation. I advised them I had an email confirming cancellation. They then told me I had to speak to the General Manager - who the person answering the phone told me is NEVER there. But, the woman said she would authorize the refund. Still no refund. Called back, a different woman answers the phone and says they won't refund my money because we did not cancel the reservation. Go through the story again- she says we have to speak to the General Manager - who is NEVER there. Called Hotels.com, they agree I cancelled the reservation, they call the Best Western Scenic Resort for me - they tell Hotels.com they won't refund the money. Hotels.com is being good, they have their billing department involved now, but it will be ANOTHER 3 business days until I hear anything. DO NOT STAY AT THIS HOTEL!!! Apparently, if you have an issue only the General Manager can help you and apparently she never comes to work. Thank you for taking the time to give us a review. Unfortunately, we have a strict cancellation policy. 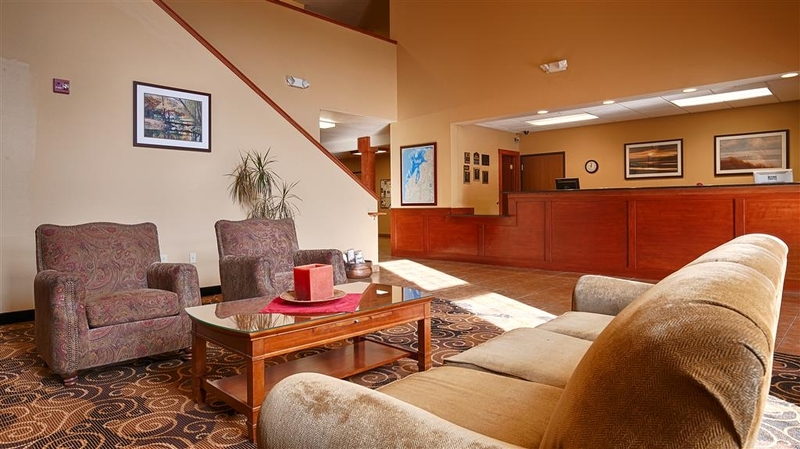 "Terrific staff, nice hotel, great area"
This Best Western gets the highest mark because of a great kindness the staff did for my family. I don't want to go into detail because I don't think it is a regular service it provides, so I don't want to invite requests from other travelers. But we are greatly appreciative. All staff members we spoke with were warm, polite, kind, and professional. The hotel is in a good spot, close to a lot of lakes, hiking, and the Sleeping Bear Dunes National Lakeshore. We discovered many really good local places to eat in nearby Beulah. There may be cheaper hotels in the area but we found the beds here to be very comfortable and the hotel quiet. 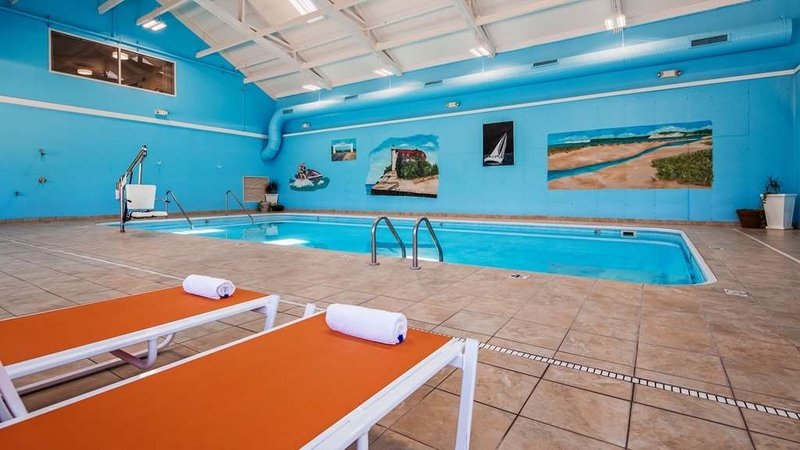 There is an indoor pool and complimentary breakfast, which is pretty typical fare. Thank you for your review and your kind words. We strive to provide excellent service to all of our valued guests! Worse experience with BW I ever had. Do not stay in room 119. Constant ticking in the room which hindered sleep as well as being near the door that constantly slammed shut from people coming and going. Woke up at 8am for breakfast, almost ALL the food was gone. One family mentioned portions were near non existent and the gal at the counter simple shugged and stated they were all out with no plans on replenishing food. 5 minutes into my eating my oatmeal, water started pouring from the ceiling from a sprinkler system, then into the fire alarm causing the alarm to sound. Obviously, the alarm sounded from shorting out the system. My party was rudely told we could NOT be in the lounge and that we must leave the area immediately. Totally fed up, we grabbed our goods and checked out. As I handed over my keys I got a "your all set". No apologies for the non existent breakfast, no apologies for the inconvenience, and to top it all off, not even offered a receipt. Which also means, no confirmation number to add to my Best Western rewards. NEVER EVER had an issue with Best Western until yesterday. The customer relations here really needs improvement or retraining on how to handle an "emergency" situation. This place IS pet friendly and the ONLY reason I'd ever stay here again!!! Thank you for your review Tiffany, I look forward to speaking with you. Check in was easy and simple, room was clean and tidy, tv worked well and was easy to operate. I could not figure out the internet service, but was okay with that. Over all was very satisfied with my stay. Thank you for taking time out of your day to give us a review, we hope to see you again soon! It was Just my son and I overnice for a ski trip. The rooms were comfortable and worth the price as they are near the ski slope. We only stayed two nights . The hotel and the rooms were clean and well kept. Thank you for your review of our property. The hotel quality was pretty good. They were experiencing problems with the cable while we were there and the internet was very slow. The room was very nice. The beds were comfortable and they offered a family suite for a larger family like ours. Thank you for your kind review on our property. We look forward to seeing you and your family again! Dennis, Thank you for taking time out of your day to give our property a review. The staff is friendly, but not very professional. They don't always wear uniforms but they always try to make your stay comfortable. Unfortunately the my most recent stay (the third in the last year for business) I experienced a problem that was not properly handled or resolved by management. I am still attempting to resolve the issue and have not yet decided how comfortable I am returning to this location. Dear lisanU4177RU, Thank you for leaving us a review, and please do not hesitate to contact the hotel directly. "Manager will always "sincerely" apologize for all that's wrong, but doesn't really care or attempt to make right." Freezing cold water and unable to shower, gnats in the room, sticky dining floor, dark parking lot (lights out that haven't been replaced). Manager is complacent and won't handle issues. She isn't concerned about the comfort of her guests. Thank you Jan, for your review of your stay. I'm truly sorry that we did not meet or exceed your expectations. Had a great stay. Room was clean and warm. Bathroom looked newly renovated or very well maintained. Water tasted good and cold and bath water was hot. Breakfast had ample choices and well presented. The great deal was a special limited discount for Rewards members: 1 free night for 10,000 points so we took it and visited family. Thank you for your kind review Thomas. We hope to see you again! Overall a very nice hotel to stay at! Excellent breakfast and nice clean room! 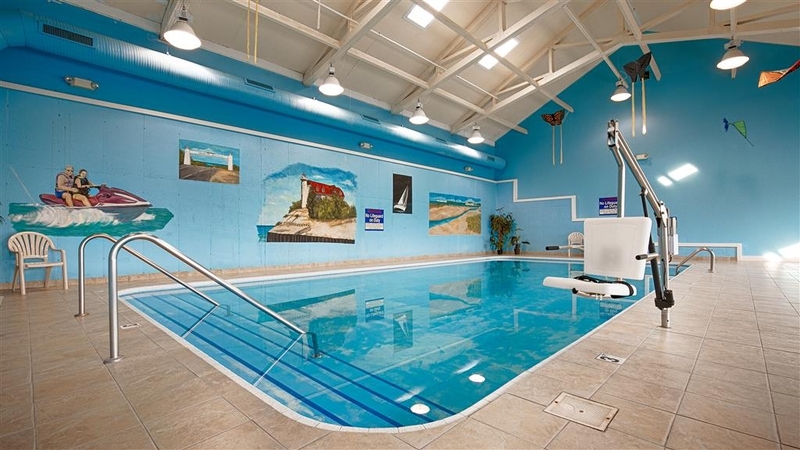 Also had a very nice indoor pool for the kids to use, and a nice hot tub outside right near the pool. Beds were pretty comfortable for hotel beds compared to others we've stayed at. Nice automatic checkout without having to go to the check out counter. Very nicely located near the Sleeping Bear dunes! Rick, Thank you for your great review on our property. We enjoyed having you stay with us and hope to see you and your family again soon! We have stayed at this hotel before and it is still a great place!. The staff was very accommodating. The room was clean and this hotel accepts pets, something we really appreciate! We should also mention that the breakfast choices were great and this is the first time I've see Kiwi fruit offered! We would certainly stay here again. Thank you for giving us a rating and for the kind words you used to describe our property. We hope to see you again! The hotel in general is well kept. We stayed for 2 nights our first night was a little noisy. The staff are very friendly and helpful. Don't hesitate to ask the staff for help as they are very receptive to the needs of the guests. I personally will recommend this hotel. I won't hesitate to make use of this facility when the needs arise. Thank you for your warm words regarding your stay with us, we hope to see you again soon, have a great winter! Very quite and nice place to stay in beulah.. nice clean rooms, good selection of breakfast..generous staff. hotel is close by lake. we realy enjoy our stay at this hotel and will come back again while in beulah.. Thank you for taking the time to give us a rating. We hope to see you again soon! When we arrived and the hot tub was broken we were immediately upgraded free of charge to a room that had a tub with jets. When I had insomnia/heartburn, the night clerk offered me medicine she had purchased herself for guests and we had a wonderful talk. In the morning, the manager assisted breakfast staff to make it even quicker and then went around engaging guests in conversation. Service oriented, professional, delightful. We've stayed here before and we'll keep coming back! Thank you for your kind review and for your understanding. We love our guests like they are family. 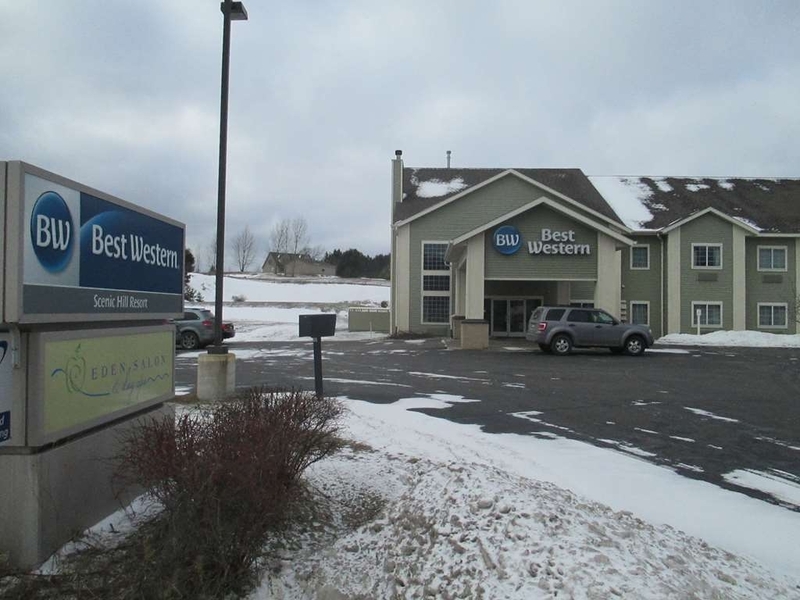 "Great place to stay in upper Michigan"
Extremely friendly staff. Convenient location for access to Crystal Mountain and Traverse. Rooms were very clean and welcoming. I would definitely stay there again and recommend to anyone else. They even had whole milk as a breakfast option (nice treat). Thank you Frank, for giving us a review. We look forward to your return! I like to start off a review with the positive feedback and the front desk staff went out of their way to be friendly and accommodating. Chris checked us in and was just an enthusiastic young man who really made us feel very welcome. I saw him several times and each time he was as nice as day one. Olivia is who I made my reservation with on the phone, although I did not see her much after arriving. She was friendly and helpful on the phone, also was able to get us a good rate compared to what I was seeing online. We traveled with our dog, Angie, and the staff was good with her. Traveling with a large dog sometimes seems to make staff rather cool toward us, but we were made to feel quite at home. On to the downside, we were checked into a dirty room that housekeeping told Chris was ready. We entered to find unmade bed and towels all over the floor. Chris was very apologetic and offered to find us another room. We decided to wait while the room was cleaned. I'm afraid the cleaning was definitely not up to par. I went over the whole room, especially the TV, microwave and fridge, with disinfecting wipes due to sticky smudges and fingerprints all over those things. The worst part, however, was my horror at having no hot water to shower and wash my hair as we had a wedding to attend. I called down and found that no one was expected to show up for repairs for several hours and I badly needed a shower to get ready. I took a horrible, COLD shower that was almost unbearable. As I was aware the hotel had been having boiler issues prior to our arrival and was assured when I called the day before our arrival the issue had been fixed. I really think we should have been "walked" to another hotel, but the manager (who seemed very flustered and annoyed) said she would discount our room. I found out I had to ask for that discount at check out was only discounted $25.00. Inexcusable for having no hot water. I work in a hotel myself and this kind of problem would be almost immediately repaired, I think the owners of the hotel really did not handle this situation well. I also put on my swimsuit the night we arrived and went to the whirlpool spa outside, only to find it was not working. I was so looking forward to that, too. Despite the problems we had, due to the attitude and friendliness of the front desk, I would consider returning if I am ever in the area again. They were that good, especially Chris!! Thank you for being patient with us during that rather unpleasant experience. We appreciate your business and look forward to seeing you again. "Clean new and GREAT cont breakfast, but no fridge in room"
checked several motels thinking they would be cheaper than the BW. No, the BW was the same as the little mom and pop motels. Very good breakfast, clean and new. No refridge in the room though. Def would stay again. Thank you for your review of our hotel. We appreciate your business. "We paid 150 to sleep on the sofa and chair because of dirty sheets...."
I wasn't going to leave a review but as I came back here and read some great reviews, and I was dumbfounded... was this the same hotel we stayed in? My husband and I were on our last stop before driving home on our vacation. We arrived in Beulah Michigan the afternoon of Thursday, Sept 14th, we needed a place to sleep just for the night. 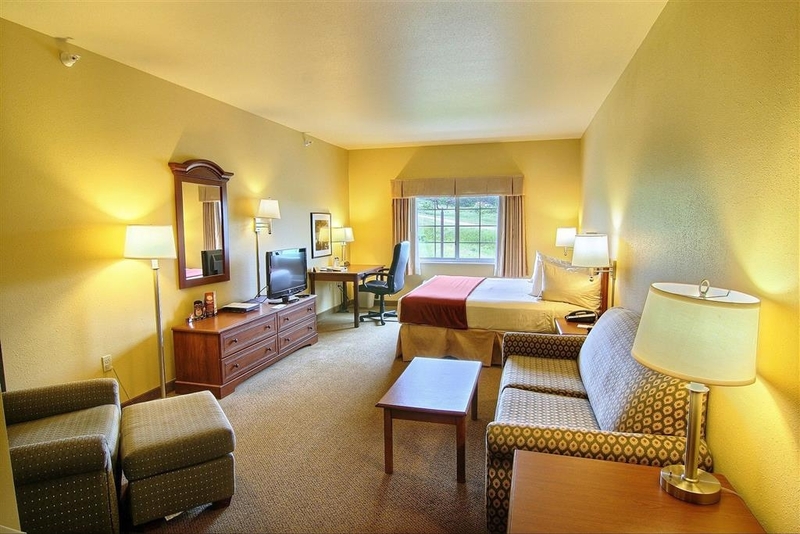 We had looked up the price of The Best Western Scenic Hill Resort and it was pricing out for around 179. It was a little higher price then what we were use to paying for a basic hotel but with not much selection in the area and hours of driving, we decided to just pay the extra. We walked into the hotel lobby and waited, and waited... finally picked up the phone and dialed 0 to get the front desk lady (looks like she was outside on a break) She came around to her computer and immediately went into apologizing for the rate of the rooms, evidently some others had complained about the high price??? Cause we didn't say anything about it. We were informed by her that had we stayed just a couple days later, the price would have dropped to around 80. Without asking she brought the price of the room down to 152 and also offered us a suite. We were tired and just needed a place to sleep so we thanked her and decided to stay. We left to go get dinner, came back and noticed again no front desk person, they were again outside. We got up to the room and noticed a few gnats flying around. When we got ready for bed, my husband got in and then asked me to smell the sheets because he was smelling something weird. It smelt like someones armpit on the sheet and comforter, as if they laid in bed and brought the top sheet and comforter up under their arms. It was disgusting. It was late and from the lack of service before, we decided not to bother with it, got out the blankets we had packed, covered the couch and chair that was in the room and couched out for the night. As we went to leave the next morning, we waited in line with some other customers and again had to call someone to come check us out because they were outside on break. We didn't say anything about the dirtiness because quite honestly, didn't seem like the staff cared too much. We just wanted to get on our way home. We could have stayed at one of the other motels in the area and had better service for half the price. The bad night of sleep made for a rough drive home the next day. If you have your prices high and decline to drop them just because the fall season doesn't start for another 3 days, then have a hotel that is clean and prompt service. Maintance lacking. The tub jets didn't work and the toilet paper holder was falling out of the wall. The oatmeal was looked like paste and was cold. Had to dump it in the garbge. The eggs were runny and didn't look good. Saw one man try them and then dump them in the garbage. He didn't try anything else. The staff member responsible for breakfast was outside smoking with other staff each time I carried items down to my car. Thank you for your feedback. I sincerely apologize for not exceeding your expectations during your stay with us. I will use your feedback to better train the staff. "Nice Stay With Few Annoyances"
The hotel was easy to find and I loved the scenic views of the immediate area. We had a room in the middle of the 2nd floor (this hotel only has 2 levels) and intially the hallway looked dated but not dirty. Entering our room we were welcomed with a very pleasant fresh cotton smell and a very comfortable temperature. One of my main problems was that I could only pick up the wifi in the front of the room. From the door up to the first bed. If I wanted to browse online I had to either stand or sit on the floor. I also found the walls to be paper thin but this seems to be a reoccuring problem that I have with hotels. The bed was a little stiff for my taste but it definitely wasn't the worst I've ever slept in. Breakfast had some nice options and they were hot and delicious. If I find myself in the area I would stay here again. There is a delcious pizza place down the road about a mile and we were only an easy 15 minute drive away from Sleeping Bear Dunes. Thank you for taking time out of your day to give a review on our property. I'm very pleased to hear that you will visit us again. We look forward to your return! Hotel was clean but there was absolutely NO HOT?WARM Water. The exterior sign was not lit and there was only 1 light in the parking lot that was working. Located in a more remote location so it was pitch black out, hard to see hotel because it was so dark. Did not feel comfortable walking through a dark parking lot. Dear Amy, Thank you for taking the time to write a review and thank you for being so patient and understanding during this mess. We appreciate your business. "Happy near Empire and the Dunes"
We were fortunate to find this well run, well managed Hotel. The bed was great, the room in "like new" condition, and the breakfast was fine! We received a very warm and attentive welcome from the desk... which followed up in the same manner later, when we needed travel info for the area. The staff here are a top notch bunch. The coffee and tea were always on, the breakfast fine, and the bed very comfortable. Our room on the 2nd floor looked just about like new : ) We think of our stay here as a Best Deal for the money. And knowing what I know now, I would say it would be my choice of a hotel even if the rate were a bit higher. Frank, Thank you for your extremely kind words regarding your stay here at the Best Western Scenic Hill Resort. We welcome your return and hope to see you again soon! "NOT HOT WATER AND LOW WATER PRESSURE"
POOR, We were not informed of the NO HOT WATER and low water pressure upon arrival. You can't cancel the day of arrival you would be charged for the room and the other places were full. You were stuck. This should have been fixed when the hot water/boiler went out. This the cost of doing business and is inexcusable on the part of the owner. Staff was professional dealing with this issue. Dear Martha, Thank you for taking time out of your day to write a review. I hope you can accept my sincerest apologies for the inconvenience that the water issue caused. We hope to see you again. All the employees at Beulah Best Western Scenic Hill Resort were over the top friendly, helpful and they made us feel we are at home. Their down to earth attitudes and they have great teamwork. I plan to return to that hotel again sometime soon! We were pleased with our overnight visit here. Room was very clean and had comfortable beds. Breakfast was very good with lots of delicious choices...oatmeal was perfect and had fresh blueberries and raspberries as toppings! YUM! Internet was a bit sketchy on the 2nd floor but good connection everywhere else. We appreciated the location which is not far from M-22 and Sleeping Bear Dunes. We took in the beautiful scenery and hiked some trails, along with some shopping and eating in Glen Arbor. All in all, a nice little get away...would definitely stay here again! Thank you for your awesome review of our property. We take a lot of pride in our cleanliness and friendliness. We look forward to seeing you again! "Still a nice place to stay"
We have stayed at this hotel in the past. 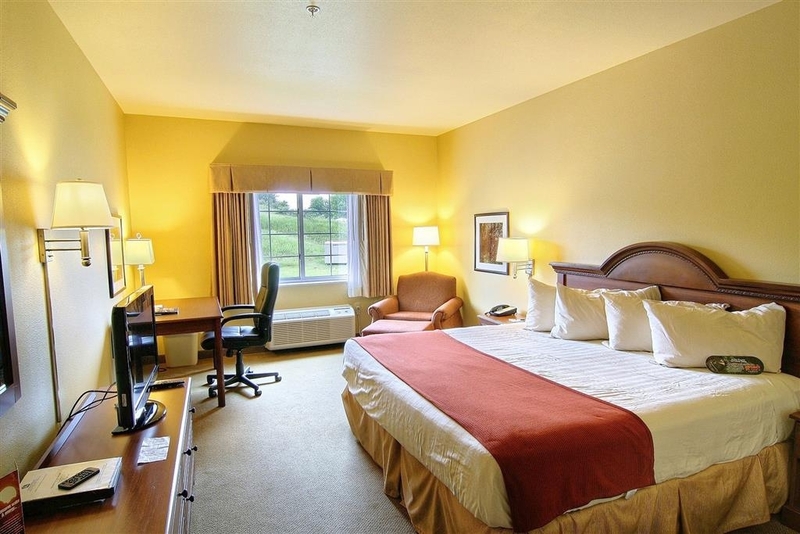 The hotel was very clean and the staff was very pleasant and helpful. The breakfast was varied from day to day by a change in meats (ham, bacon) to accompany the scrambled eggs, waffles, biscuits and gravy as well as cold choices. Our only complaint was that we were woke up each morning because the ladies next door could be heard like they were right outside our door having a conversation. Not sure if the walls are thin or if the problem was that there were adjoining doors between the rooms. We were pleasantly surprised with a free room upgrade this visit.- Thank you Best Western. It was a very nice weekend. Thank you Kim, for taking the time to write a review on our property. Your business is very much appreciated. I apologize for your neighbors waking you up. A good nights rest is essential to a great morning. We look forward to seeing you next time! Not clean and way over priced for the area, no real senior rates, room definitely third class. We should have checked further for room rates and value. I would check using the yellow pages and locals for a far better buy. "Nice staff good looking hotel but the mechanical items a re breaking down"
We spent 3 nights here and every night the hot water heater system was broke down so we ended up with cold showers. The staff was very apologetic but the owners really didn't show the concern they should have. Last year when we stayed my guys had to fix a running toilet. David, Thank you for taking the time to write a review. I appreciate your input as I am currently going through and fixing what needs attention. We look forward to seeing you again. "Worst hotel ever- rude staff." Had reservation for 2 nights (over 200.00) per night. Called as we were arriving to check-in. Staff informed us they had no hot water. Gave him our phone number and he said he would keep us posted. Needless to say they never called with any updates.Staff was extremely rude and then to top it off we arrived at 10 pm and they had cancelled our reservation and sold our room without even notifying us. Not many hotels in the area and now we had no room. Never again! Happy with my experience at this Best Western. I work at a Best Western and this was almost as nice as the one I work at. We are the Best. It was fun visiting this location. I like Michigan. 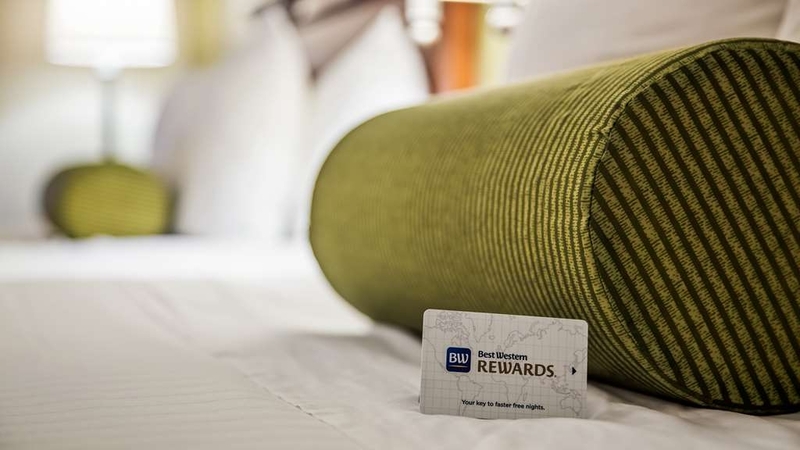 The reward program is great with Best Western also. I have enough points to stay free soon. Barb, I am happy to hear you enjoyed your vacation with us. We strive to provide all of our guests with the best experiences possible. We look forward to seeing you again the next time you are in the area. Over charged and the room was dirty for the price we paid. Stained sheets, dust in corners, smelled like a dirty sock when we opened the door. Didn't complain in their defense. I knew the place was full. Just not impressed. Thank you for taking the time to write a review of our property. Please accept my sincerest apologies for anything that was not beyond spectacular during your stay with us. When you are in the area next, please give us another chance to change your opinion of us. Thank you for your awesome review of our property and the staff! We enjoyed having you here and look forward to your return. I stayed here with a friend to attend a wedding nearby. It is a very well maintained property clean and up to date. I felt the manager did a fantastic job, her name is Jimmi Jo. She was very friendly and welcoming when we entered. They were having a problem with their boiler when we arrived, she offered to cancel our reservation if we wanted (which we didn't) instead she gave us an upgrade and a discount for our room. She was there again in the morning manning the breakfast which was better than most complimentary breakfasts I've had at other hotels. It's a beautiful part of Michigan, if I ever return I will definitely stay there. Thank you very much for your kind words. Thank you also for taking the time out of your busy day to give us a review. The staff and myself here at the Best Western Scenic Hill Resort certainly appreciate your patience and understanding during this situation. We look forward to seeing you again if you are ever back in the area! "just a nice little get away"
Olivia was the greatest front desk clerk I have ever dealt with!!!!!!! The room was great, the breakfast was awesome!!! and the staff would just talk or listen to you for what you needed. I was there to chill from a BAD week at work, and Olivia just took the time to listen and make me feel at home and better. Thank you so very much for your kind words about Olivia. She is definitely a treasure to us here at the Best Western Scenic Hill Resort of Beulah, Mi. Thank you also for your great review on our breakfast! Please make sure to fill out the Best Western survey sent to your email at check out. You have a great rest of your summer and We hope to see you again soon! "great location for Sleeping Bear"
We opted to stay here for our trip to Sleeping Bear Dunes instead of the larger Traverse City and are glad we did. This is a very small town that kept with the vibe of our relaxed lake vacation and was a short drive into the park or to close-by Glen Arbor for restaurants. The hotel itself was very clean and I was pleased with our room. We stayed there 4 nights. The breakfast was good and had the usual waffle station, scrambled eggs, bacon and cereal along with fresh blueberries. The indoor pool felt more like a hot tub the water was so warm but that was quite pleasant after swimming in Glen Lake. And I liked being able to easily open the windows to let in the cool night air. Thank you for your kind words about our property and staff. And THANK YOU for taking time out of your day to give a review. We hope to see you again! Keys didn't work, double booked rooms, people walking into other peoples rooms with their things already in it. Stains on beds and linens. Worst ran business I've ever dealt with. People had to leave because their reservations were lost. Just a terrible experience!!!!! I do not blame the people who work here for this very poor review. The lack of over site to this property is evident. Our room was nice upon first glance. When we returned for the evening we discovered that the T.V needs to be adjusted to work each and every time you turn it on. The directions provided for this were wrong. The night front desk staff had to come to the room to figure it out. I say staff lightly because she was the only one for the entire hotel. Next the jet tub did not work. So I just went to bed. Had to fix the T.V again because I turned it off to use the tub. Then at around 3 AM the smoke alarm stated to sound. How does a major hotel not have this on a schedule to change so it does not inconvenience the guests. Oh, the hotel had a wedding party staying as well. The lack of management was very apparent at this point. The party was allowed at 1 AM to come back to the hotel and continue the party with a keg of beer. They were up and down the halls till 4 AM. The lone night clerk had to call in another worker to help her. I do not blame the wedding party. If I was allowed to take over a hotel without anyone stopping, I may have done the same. All the doors to the hotel were propped open so people could come in and out. One female guest had people coming into her room because the keys were coded wrong and drunk guests were able to enter the wrong room. This was the worst stay at any hotel hands down. And please replace the American Flag you have hanging because it is torn and tattered. Will never stay here again. "Loved the room but they seem to be short handed." Loved our large family room. It was huge. Two bedrooms; two beds in one room and one huge king bed in the other. Very comfortable. It was probably my favorite room in size but other issues. It seemed like they do not have enough staff. They can't keep the breakfast stocked and while I was fine the teenage boys need food. The staff were pleasant but not enough to keep up. The hot tub was broken but you could sit in the warm water. The Jacuzzi in our room didn't work and I thought they were coming to look at but didn't. I didn;t like to say to much because it wasn't like the staff working were just sitting around they were busy! 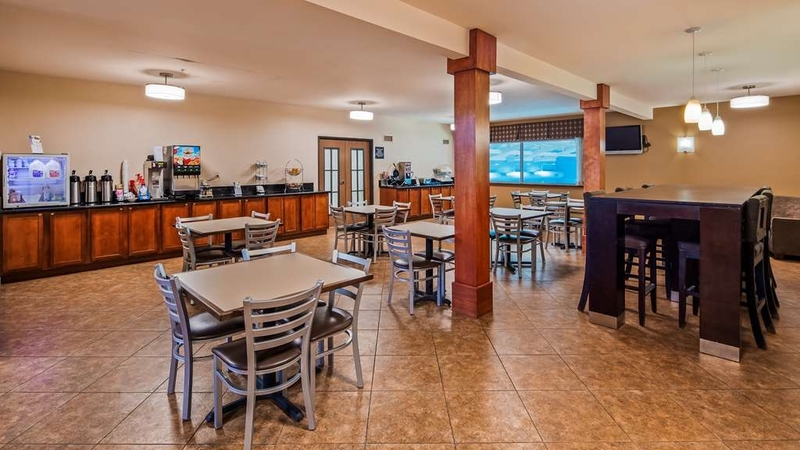 This hotel is located in a very small town but very busy due to being close to sleeping bear dunes and other attractions. So it is probably hard to get enough staff but they really need to try as it could get a higher rating. Thank you for your kind words. Yes, it is somewhat difficult to find additional staff members but those of us that are here LOVE our jobs and love meeting all of the new faces. We hope to see you and your family again! Poor breakfast availability and organization. Room wasn't ready to check in until 3 hours later. Room keys never worked. Hot tub jets were broken. They rarely skimmed it out. The pool was nice and warm though. That was the only thing that was reliable. Also the Wi-Fi kept unconnecting which was annoying! Thank you for taking the time to write a review. I appreciate your feedback and will use it to better our performance. "Can count on Best Western"
We can always count on Best Western to be good. The room was plenty big and very clean. Comfortable bed and pillows. Nice shower. Internet worked well. Breakfast was good. We were only passing through so were not there long, but were very happy with our stay. Service was substandard, room was ok. Quality for the money was lacking. I was disappointed to say the least. Don't call the front desk, they don't answer. Couldn't access the fitness room. Was locked and couldn't find staff to find the reason why. We are so disappointed with our stay here last week! Did they get new management?? Cuz WOW - this was our 4th stay in 6 years and always raved until now. Disheveled clothes on employees, unhappy faces, never heard a hello or "have a nice day" or would even look up as we would walk past the front desk. Overflowing garbage and always looking for forks in the breakfast room. Vending machines were empty and the excuse was that the boss was away on vacation and he was the only one with key. Had to request toilet paper for our room as we were leaving one morning for our activity. When we came back, the roll was on the holder with the paper still on the roll! Who does that?! lol Housekeeping was very friendly and was the redeeming grace. Friendly girls! I hate complaining but it was just so very different than our last stays! And over $200 a night due to it being July 4th week -- too many little things to list here. But the real kicker came when a storm came through on Saturday night and we lost power. This also means NO WATER! Imagine being stuck in a hotel on a stuffy night where you can't open the windows for air, and full toilets!! No back up generator for necessities? Not even the emergency lights were on in the hallways. Safety hazard! No word from anyone so we went down to get an update. The girl didn't have one and said "I wouldn't even know who to call for one" We had no choice but to leave as early as possible the next morning, after a miserable nights sleep. I will no longer recommend or stay here on our annual visits to this amazing area :( Spent over a thousand dollars there so we feel a little sick over it. 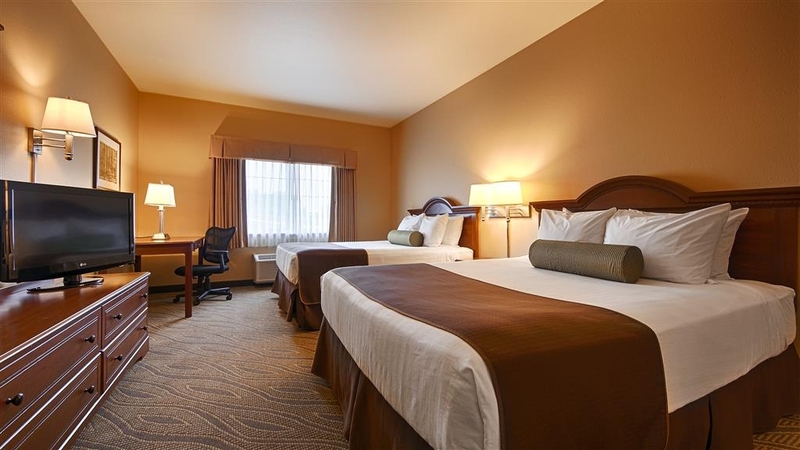 Pros- the staff was friendly and attentive, rooms were clean and beds were comfy. The kids loved the pool. There is a patio area to sit which was nice. Cons- lots of road noise. Maybe a room on the back side. Thank you for taking the time to write your review of our property. We look forward to seeing you again! Thank you for writing a review of our property. We look forward to your return. 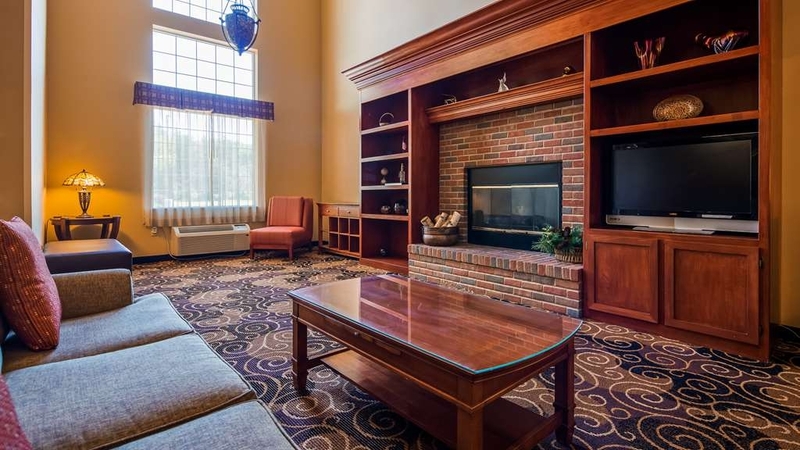 "Fantastic Staff and great room!" My daughter and I absolutely LOVED our stay here! The room was clean and nicely decorated. The pool area was fabulous. Olivia the hostess was so sweet and pleasant. Only wish we could have stayed longer. Will absolutely stay here again. "Winter Power Outage Emergency Stay"
We are locals so we don't usually stay at local hotels but this time it was an emergency. It was the middle of winter and the power was out at our house but not at the Best Western. We called and they graciously offered us a local/emergency rate that was slightly better than the regular lodging rate. We were very thankful for this accommodation that was made. The property is very nice looking, clean, up to date. 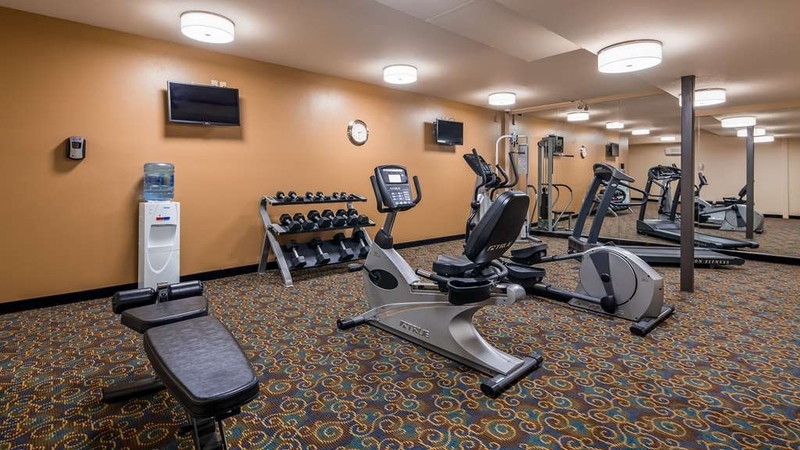 There is a nice work out room and pool on site as well as a little spa for haircuts and such. Would recommend for a quick trip or cheap vacation probably not for a whole week though. Thank you for your kind words. We appreciate our customers! "Great Hotel for Family visit"
This was a great hotel. The rooms were very clean and spacious. The pool area was very nice and had a great patio area for the parents. The breakfast was outstanding. The staff was extremely friendly and welcoming, treating us as if we were royalty. Tim brought a refrigerator to our room (has to be requested, but no issue). It is near Crystal Lake and the Sleeping Bear Dunes and well as Gwen Frostic's studio. Attention to detail and inspection of achieving BW room standards before occupancy would go a long way in improving rating. Water temperature, made bedding standards, breakfast quality and freshness. On a 1-10, a five. Thank you for taking the time to write a review, please contact me directly at the hotel to discuss this further. Thank you for taking the time out of your day to write the survey. We look forward to seeing you again! The hotel was very clean and updated with a friendly staff. The beds were comfortable and the breakfast was very nice. I would stay there again without a problem. I wish the outside had a few more lights or a lighted sign. Thank you for your very kind review. Had to visit Beulah on business and we chose the Best Western because of its amenities. While it was not season yet, the place was very sparse. Even so, we were very pleased with our room. It was clean, it was quiet and it was convenient. The best was the breakfast that was offered. Every day the "hot tray" was a bit different. We loved making our own waffles and also had healthy choices as well. We were especially grateful for the friendliness and helpfulness of Olivia, who served as front desk person, cook, cleaner and all round tour advisor. She was so delightful. Too bad the weather was a bit cold and rainy. I am sure this property is just beautiful in the late Spring and Summer. I would definitely recommend this hotel. 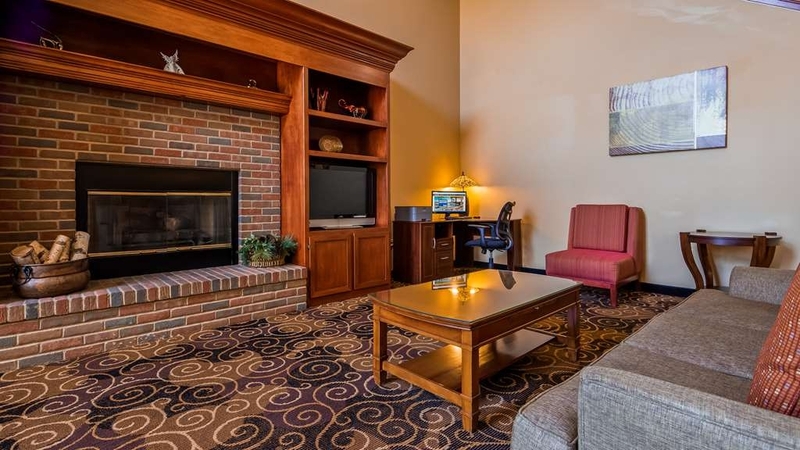 We really enjoyed our stay at the Scenic View Best Western in Beulah! The view of the northern dunes was wonderful. I've never slept better in any hotel. The bed was fantastic. Breakfast was a little lacking because there was no fruit except to put in the oatmeal. Coffee was great. 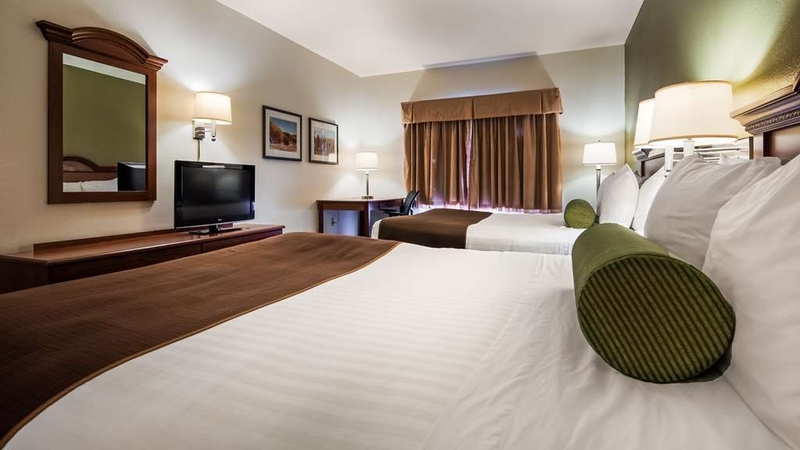 The cleanliness of the room was very good and staff were friendly and helpful. "Not up to par for Best Western"
To make it short, the TV remote kept going out, no coffee pot in my room to make coffee, night light was out, no lotion in the dispenser, and the eggs for breakfast were powdered. The room was nice and the rest of the breakfast was good. Also, the Wi-Fi didn't work very well either. I had to go to the lobby to use it. Thank you for your business, we will use this feedback to help ensure a better stay next time. They lost our reservation at check in, We were told that "there should be nobody else in the room" when we got our key, breakfast food was awful, fitness center smelled horrible, all out of soaps and shampoo, kids making noise all night, computers were down at checkout. Thank you for taking the time to write a review. Your business is important to us and i will use this information to help with improvements. We have been staying here over the last 3 years never had any issues. The hotel is clean and the staff is very friendly. The breakfast is good and convenient. The rooms are good size. The overall of hotel is in good condition. Thank you for taking time out of your day to rate our hotel. We welcome your return! Have stayed here for 10+ years but won't again. Outdoor hot tub AGAIN not working, indoor pool 100F+ degrees. Xmas Day worst continental breakfast ever anywhere. Would have been better to have nothing. Next day no hot water in room & then no water pressure at all. Stairs blocked by renovations - emergency exit concern! No adjustment on bill & no way to complain by email, etc. Goodbye Best Western regardless of location. Please accept my sincerest apologies and know that i am working diligently to ensure the best experiences for all of our future guests. I came on as the Gm just 3 weeks ago and have been making changes. Thank you for taking the time to write the review. Please accept my sincerest apologies and know that i am working diligently to ensure the best experiences for all of our future guests. Thank you for taking the time to write the review. Overall my stay was very enjoyable! The front desk staff was very friendly at c/i and the hotel room was extremly clean. The wi-fi worked great the whole time on all three of my devices. I would highly reccomend this hotel to anyone visiting the area. We stayed at the Best Western two nights. The front staff was friendly and helpful, but the first two rooms they gave us had never been cleaned from the previous occupants. Our 3rd room was very comfortable. We were told the hotel was full, and breakfast ran out of food the first day, and was very messy and understocked. The second day we made sure to go early to get something to eat but the room was never straightened up between guests and still short on supplies. Housekeeping also did not replace any of our toiletries that were used. Although none of the issues were enough to keep us from enjoying our weekend at Sleeping Bear Dunes, the hotel did not live up to our expectations. I had an extra luggage with me, so as soon as I pulled in for check in staff got me a trolley and helped me carry my luggage to my room. Hotel is not very far from the main town and also there are many adventurous sopts near by. Overall I had a comfortable stay. I stayed here and my over all experience was very good Perpect hotel to at because all the adventure spots are not that far from the hotel Staff is very helpful Room is nice clean and quiet Gym and Pool is nice Breakfast was nice and warm. Staff were very welcoming and friendly with good work ethics. My room was very spacious, and tidy. Breakfast was also preety decent as well. 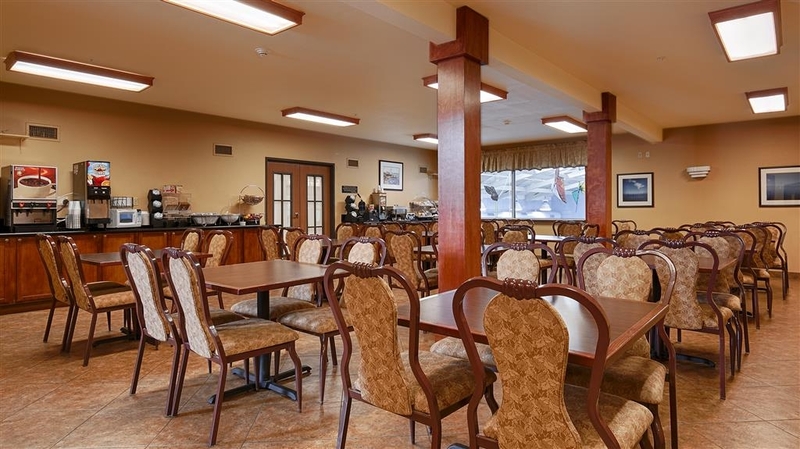 Hotel location is perfect for near by adventures like: Very close to Chrystal Lake and Chrystal Mountain Ski Resort. Short drive to Traverse City, Glen Arbor and sleeping bear dunes. Plenty of parking. Beds were pretty comfortable our sleep was nice and quiet. Have stayed here in the past & it was good. Apparently under new mgmt & things have gone downhill. Hot tub doesn't work (but they don't inform you of that). Don't even attempt the breakfast - food runs out, slow staff in plain clothes with poor attitude says "it's in the oven". When it finally comes, he shouts "that's all there is, no more" Yikes! I wanted to jump up and wash off the counter myself. They also "run short" on towels. Never heard of that before. I have stayed at this hotel in the past and the condition has greatly declined. Inconsistent housekeeping- we were there for three nights and the common areas were only vacuumed once- the same debris was on the stairway to the second floor when we checked out that was there when we checked in. the hotel was painting the halls, but no work was done during our stay. The hot tub was out of order. The pool has chips in several areas. The attendant in the breakfast lounge wears street clothes as did several of the attendant behind the desk. There is an obvious lack of supervision. quite different from past stays. I felt as if I were staying at a Motel 6. Beulah is a very nice town this hotel has very nice location ,good rooms & Swimming Pool , Fittness Center .Nice Employees .Staff was very welcoming.Enjoued our stay will surely want to come back .Thanks again . Booked rooms and did a block of rooms for my wedding. I was promised my room to be half-off never happened. My family members didn't not get the approiate rates, either. I made wedding welcome bags for our guests since most were new to the area and most of our guests never received the welcome bags. Only those who asked for them specifically. Front desk staff were not able to assist our party with getting the correct reduced rate for the block. A few people complained about their rooms not being clean. Rooms which were reserved didn't get reserved. My room being their 4 days 3 nights was never serviced. I even asked someone to service it and it never got done. I ended up sending a friend to get me some towels and cleaned it myself. I had to set the garbage outside the room to get it picked up. Morning staff for breakfast was very nice and kept the dining area clean! Kudos to that employee. Bummer the waffle machine didn't work half the time (not her fault) and the pool was closed 2 out of the 4. Parking was good, the location, I thought, was perfect for where our wedding was being held. I just wish the staff was more accommodating, professional, and knowledgeable. The night front desk person told our guests that she had to wait for her mom could show her how to give the appropriate rates. Employees also had their young kids in the lobby. They could have been off duty, but I couldn't tell the difference. I have told my wedding venue not to use this location as a preferred hotel accommodations. We stayed the following week with our families in Frankfort and had an extremely satisfied stay! Regards, A bit disappointed. 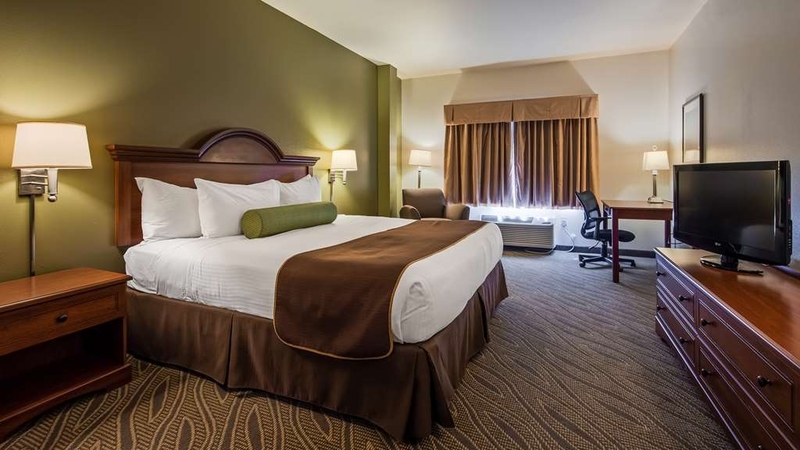 Staff is very welcoming, rooms and overall property is neat and clean, breakfast was decent as well, Manager is very helpful and have a great work ethic in her. Will be satying here again in future and also will be recomanding friends & fmaily to stay att this property. This is my first negative review out of hundreds of stays. The room was nice except for large piece of porcelain missing at front base of toilet and no products in shower dispensers plus no bar soap for compensation. Breakfast bar was out of food and not being replaced with still an hour of operation to go. "Don't stay here if you're looking for helpful service"
The Staff was uninformed unhelpful and generally "un" in all circumstances the requires attention to details. We were able to cajole three recommendations for dinner from the staff, and two were pizza parlors. Because we were on a motorcycle and it was getting cold and later in the evening we asked if there might be an alternative for a transportation (taxi, Uber etc.) into Traverse City (about 20 miles away) which was answered with a look that conveyed an "are you serious" and a distracted "no". It was downhill from there. All in all the room was comfortable and clean. Upon arrival there was only the microwave/refrigerator cabinet in our room but the front desk delivered both in a timely fashion. Breakfast was the usual fare and well stocked. The only I stayed there is because they allow pets. I do not remember much about the hotel. So I guess I was not impressed with the place, It was okay I thought it was a little pricey for the quality of the hotel. The beds were too soft along with the pillows. Not a great weekend. We moved our room due to an invasion of fruit flys 2 hours after getting in. The other option was to put a dixie cup filled vinegar, with a saran wrap cover and holes poked in it and stay in the room. Soooo we moved a few doors down the hall. They offered a very minimal discount. On the last day after we returned from a great wedding @ 11:30 PM.... More fruit flys. I went to the desk and began to tell the clerk. As I am sharing my story she turns and leaves the desk while I am talking and returns with the infamous dixie cup ready to go!!! No offer of a discount, or any assistance at all. BTW, Both doors at either end of the hall were left wide open all day long for the breeze!! I wonder where the fruit flys came from?? I will never stay there again, and will think long and hard about a Best Western period. The indifference of the staff and un professional attitude was very upsetting. To make matters even more interesting, I made my reservations 2 1/2 months prior to arrival. They could never send me and E-Mail confirmation. Talked to several different people and not one person could get my address correct! I even sent them an email and they still couldn't get it right. Soooo, a few days before our arrival I called to make sure I still had a room. The clerk assured me I did. I tried the email thing again. She called me a few minutes later and told that my email account had been closed! What? I was reading my emails as we talked. That crew and the motel leave a lot to be desired. From the main manager through the entire staff you can expect kind and professional treatment. I have stayed here a few times and every time I am greeted welcomingly and the staff focus is on my needs and requests. They are not multitasking or preoccupied with other issues while assisting you. I have been at this hotel in Summer and Winter. Each time the grounds are immaculate, parking is plentiful and the rooms are spotless. "Not a good experience - at no fault of the staff"
I booked my trip on Booking.com via Tripadvisor. That was a simple and easy process. But when we arrived at the hotel, they did not have our reservation noted (although it was in the system). The very kind and helpful girl at the counter found our reservation but our rooms (that were to be near each other as we are a party of 8 ) were given away to others and it was a process to assign new rooms to us. She kept trying to call the manager on duty but to no avail. Once we received our rooms, we went to use the pool. There were outside people using the facilities (for a party I believe) and it created chaos that was not pleasant at all. There was a group of high school age children with limited adult supervision that I felt were not as respectful as one would expect in a hotel. I paid a lot of money and pre-booked expecting a pleasant experience and felt that it was truly a disheartening experience. The free breakfast was okay but not on par with others we have experienced. Also, when I go to a Best Western I would think that would be laundry facilities available for customer use, but alas, my husband had to drive a half hour to find one he could use. Very frustrating indeed. "A Summer night in Beulah"
Very clean and friendly. Not too for from Manistee and Traverse City. Our car broke down and the staff was very helpful in accommodating us after check out. Also close to Interlochen Music Camp for concerts and visits. We stayed here because of a wedding we were going to. Do not go barefoot here the floor is very dirty! My feet were black on the bottom! They need to mop the tile floors in the lobby area. The breakfast food that was suppose to be hot was Luke warm. The second day for breakfast was Mexican style which the scrambled eggs looked apsolutly gross. It would be nice to have had another chain hotel in the area to choose from. "Just your standard Best Western"
Nothing really special. Very expensive during peak season. Nothing bad either. Had a pool, and a normal "free" breakfast buffet. There wasn't a scenic view. Only stayed because weather conditions traveling home were to be too hot to get caught in freeway construction. WiFi was free but wouldn't work in our room. We had spacious and clean rooms. The pool was nice and big and the kids liked it. Unfortunately the hot tub was closed and we did look forward to using it. The staff was very friendly and named a very good restaurant (The cherry hut) for us to have dinner. I find the hotel is a bit pricy though, that's one star less. "Run down, dirty, in need of repairs." I am not one to complain but this place was poor in so many ways. Air conditioner in our room was not working properly and the fan would not work on it either. Walls are paper thin! Several marks and repair holes that were just filled with putty but never painted over? Piles of dust on fixtures? There's no refrigerator in the rooms. No maid service was given during our two night stay! No trash in our room taken out and no fresh towels delivered. We returned to our room after leaving early for the day of fun to all of this. Woman who was at the front desk was the only person working I believe. She acted mad and put out when I told her our room was not cleaned, trash taken out, no towels...etc. She went to the back room and brought me out two clean hand towels!? What?! We have four people in our room! We were paying over $250 per night!!!! What a joke! She came into our room at 10:30 pm to empty one of our trash cans and acted pissy. She said she'd tell her manager, Brittney when she came into work that night at 11:00pm. Next morning there's no air conditioning in the breakfast area/front lobby and on one of the hottest days of the year!! Breakfast area was dirty and disgusting!!! I did feel bad for the gal trying to put the breakfast together as she was clearly short of any help. Went to check out and my card was already run and the manager took $30 off the total and that's it for not having our room cleaned. At $250 a night... Sorry, that doesn't cut it!!! !Again, the woman at the front desk was horrible and didn't have a clue to anything! Very unprofessional!! I would never stay here again even if it was free!!! Peak season in the area and this was the only place we could find anywhere. Sign in the door did say "No Vacancy" that evening. What a mess! Best Western should feel bad having their name on this building! 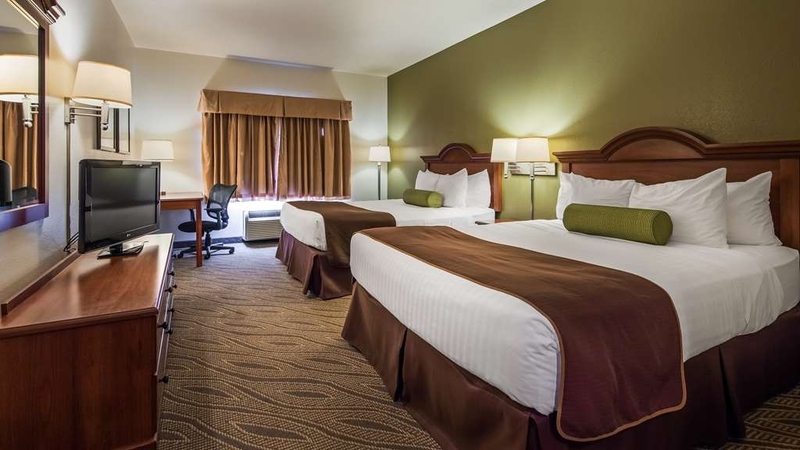 The good: clean rooms, comfortable beds, decent bathroom amenities, indoor pool, good wifi, friendly staff. The bad: A/C broken in lobby and dining area, very hot. Phone in our room didn't work. Whirlpool didn't work. Furnace cranked to highest setting in the indoor pool area (staff perplexed as to why) in July...temp well over 85 degrees in the pool area. Our room was not made up on the first morning. Free breakfast was average - stick to cereals and yogurts however...some of the cooked items looked sad. Wonderful service by all, especially Nathan! He was so polite checking us in and welcoming us as members. He also welcomed us back after each fun day out adventuring. Great location, minutes from Platte River tubing, 15 min from lovely Frankfort, 30 minutes to Glen Arbor, 20 to the Dunes. Great pool! Free breakfast. Only improvements I'd recommend is to add a microwave in the lounge and upgrading the wifi. It was painfully slow the entire trip. "really in the middel of nowhere"
200.00 a night and no frig in the room....why? the comfort inn we stay in the night before for 1\\2 the price was better then this over priced somewhat clean, non working hot tub, and no restaurant near by......what master mind came up with this location\\price, this is my second time here first and last and never a best western again....get a grip management. Stayed here on our way home. So looked forward to using the hot tub at the end of the day only to discover it was closed permanently closed!!! Major bummer especially after paying $190 a night for the room. They were charging premium prices for poor quality. The room was fine and the staff friendly but was not happy paying double for a room usually half the price. We were disappointed to see this hotels cleanliness level has gone down. Have stayed here many times over the years and am disappointed to see it not in as good of shape as it had been kept. Will try staying here again to see if it was just a one time thing. This stay was at the end of the day after traveling from Best Western St Ignace Mi. on a scenic route. Check in was fast, as I had booked the room online in advance and we were in our room in minutes. We had no in room refrigerator which most hotels/motels have now so we had some leftover lunch items we planned on using as a midnight snack that had to be put on ice. 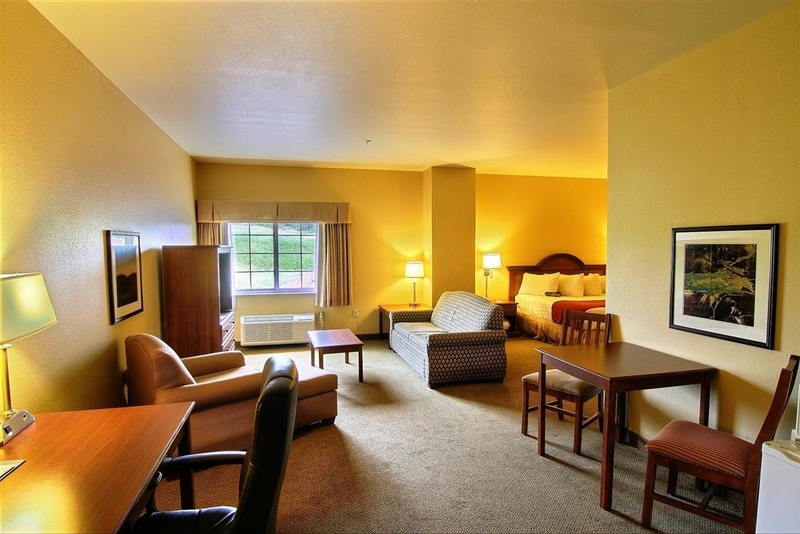 Room was adequate, but a bit over priced from what we have paid at other Best Westerns across the area. This area of the state is pricier than others so that also has to be taken into consideration. The hot breakfast was not as appetizing as other hotels we have stayed at and certainly a bit of a lower quality than most Best Westerns. We did enjoy a bowl of cereal, a yogurt cup and a piece of fruit. Would I stay here again, maybe but I might look farther north or south for an overnight stay. I only needed a one-night stay, since I was driving across the country with my granddaughter. I had very few options for a hotel near Honor, Mi, where she was visiting. I knew that Best Western would suffice for my one night stay, but I do think it was a little pricey for its location. "Only Decent Place to Stay in the Area"
We stay here often and it seems that the overall quality is slipping. The room was clean and the beds are comfortable. The breakfast is adequate, but certainly nothing above that. We appreciate a nice place to stay in the area, and this Best Western is the only game around. No refrigerators in the room and they would be much appreciated. I will gladly revisit a business based on it's level of customer service primarily. Price is a secondary factor. This Best Western has BOTH! Hats off to the entire staff. The location is pristine and the parking is ample. Easy in and out for RV's and large vehicles as well. Close to shopping and the water. 10+ rating for me. This hotel must have been constructed out of tissue paper as you can clearly hear conversations, belches and sneezes from the room next door. Disgusting. Above, you can hear the party, laughter, conversation and thumping footsteps. This is in the off-season. I can't imagine staying here in the summer!! The "suite" has a small sofa, refrigerator and microwave. The room was in need of an in-depth cleaning, i.e., drips on the bathroom walls, dirty draperies, window sills, to name a few. While the young staff tries to be pleasant and helpful, they're obviously limited in experience. I have never been disappointed staying at a Best Western Hotel. 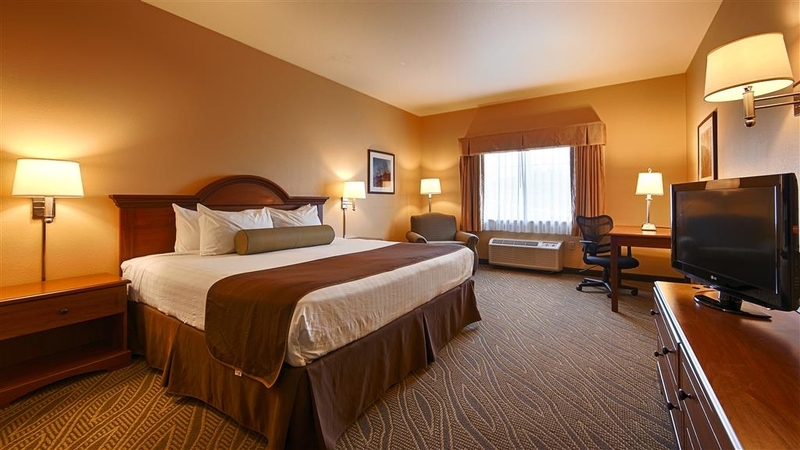 I have always experienced professional and helpful staff as well as a clean comfortable room. The prices are very competitive. I travel over 120 days a year working for a major Tool Supplier and I need to know I will have a relaxing stay after work. Thank You for taking the time to complete our survey, We strive to be the best for every guest every time. I am glad that we have hit that goal for you. "Terrible Experience Even Before Check-In"
Originally I booked this room for a ski trip getaway with my husband as this hotel was close by to a ski resort. Primarily, this hotel was advertised as a pet friendly hotel so I booked it and made sure that I was okay to have my 8# dog with us. I called the hotel itself after I made the reservation and was told that as long as he was crated if we left the hotel room, that it would not be a problem and that there are 4 specific rooms for guests with dogs. I called the day before I was to arrive to confirm my room and the same man that I spoke with on the phone 2 weeks prior said that my reservation was still there but I was not in a "dog friendly" room but "it wouldn't be a problem." All I had to do was sign a piece of paper stating that I had a dog & that the dog would not be left alone in the room (even in a crate)....DESPITE ALREADY HAVING BEEN CLEARED TO DO SO WHEN I BOOKED THE ROOM. I was no longer in the cancellation time frame so I ended up keeping the reservation and had to find a place to board my dog before we left for our weekend trip. I WAS NEEDLESSLY TO SAY, QUITE UPSET. 2 OTHER INCIDENTS HAPPENED WHILE I WAS THERE... 1. I accidentally spilled orange juice on the bed and on the sheets/one pillow case and left a note for housekeeping stating my accident. We came back to the hotel room only to have a note left from the housekeeper stating "Sorry couldn't find an extra pillow case." REALLY?! IN A HOTEL? !--I FIND THAT VERY HARD TO BELIEVE. 2. According to the front desk when I checked out, the hot tub outside closes at 11pm. I didn't know that or if the hotel had a quiet policy so I didn't complain. I didn't want to be one of those guests that make complaints as I usually don't! Well, there was a wedding party/wedding party guests that were out there partying until 2am/after 2 am that we could hear from outside our window. That was very rude! HOTEL STAFF DO YOUR WORK...THERE ARE OBVIOUSLY OTHER GUESTS AT THIS HOTEL SO IF YOU HAVE RULES, IMPLEMENT THEM!! CLOSE THE HOT TUB AT 11PM!! ....I ended up stating my complaints to the girl at the front desk at checkout and she ended up having me write down my number to give to her assistant manager so I could speak with management. Well, that was Sunday at noon and NO ONE CALLED ME BACK. I followed up 2x and on the second phone call 3 DAYS LATER, I ended up getting a hold of the manager, who luckily listened to my concerns/complaints. Would I stay here again...I wouldn't pay to stay again but he did listen to my complaints and offered me a 2 night+ stay in the future if I decide to come back to show us that "They can get it together and can provide better service and hospitality." "Gave us the wrong room; fixed it the next morning." They did not have the correct reservation at the hotel the first night we arrived. First thing in the morning the GM worked on correcting the issue and got us into our new room before we went out to snowboard. Clean, friendly staff, nice rooms. 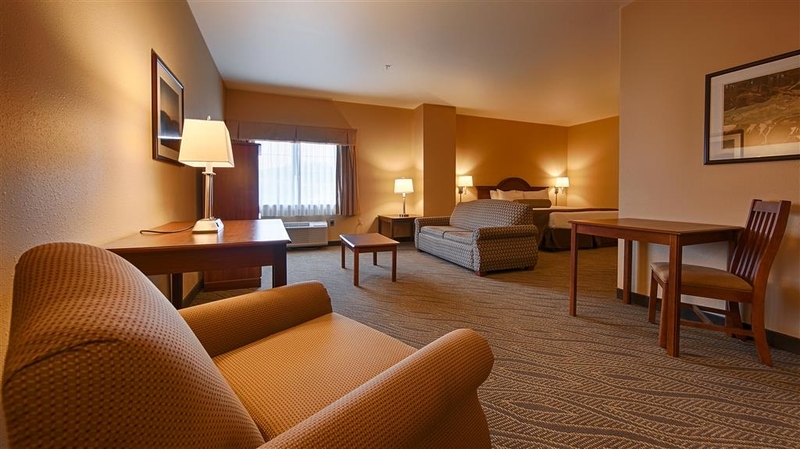 We enjoyed the quiet, out of town location that was within 15 minutes of Crystal Mountain Resort. It was our first stay in the area that was not directly at the resort, and the value and comfort made the short drive worth it. Friendly and helpful staff. Nice, neat, and comfortable room. Breakfast was pretty good with some choices. Gym has good options for exercise. Good location with access to good restaurants. I would stay there again. "Good Resolution to Major Problem"
"Convenient base for a visit"
We stayed here for 3 nights while we visited the beautiful NW Michigan area. The rates are reasonable and it's convenient to the Sleeping Bear area and Crystal Lake. The hotel is OK as far as rooms but we headed into Beulah for breakfast rather than partake of their mediocre offering. Rooms were clean, service was average hotel is used by workers in the area and some aren't real careful about being quiet when they come in late at night. "Great Place to Enjoy the Michigan Fall Colors"
We needed a convenient place to base our drives to Michigan West shoreline attractions and see the Fall colors. This BW hotel fit the bill perfectly- clean,comfortable, and quiet. Easy drives to Sleeping Bear Dunes and several lighthouses. "Super helpful and friendly staff"
We experienced an issue with the jacuzzi in our room but Kimmie went beyond our expectations in remedying the problem. The room was clean but I feel that it could use some further updating. Could hear kids in the pool early in the morning which kind of bummed us out but overall it was an enjoyable place to stay. Nice hotel, friendly staff, quite clean, good breakfast, it was all fine. We had just one set of sheets which had some spots, we alerted the staff and got them replaced + 10$ reduction, without even requesting it, so really nothing to complain about. I'd recommend it. it was just an overnight stay but most enjoyable. while booking in we were treated with each a large home cooked cookie. Our room was spacious, large frig. use of lobby PC, and the dining facilities for a group dinner. They bent over backwards to help in every way! 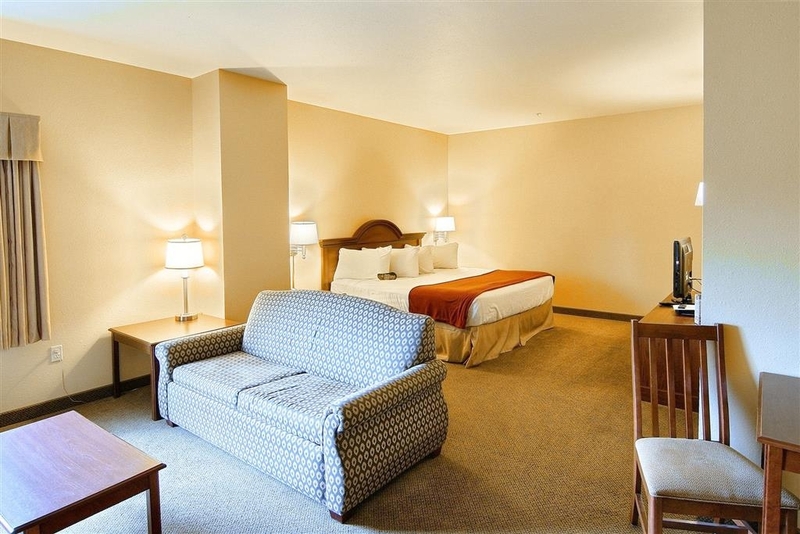 I have traveled all over the USA and can honestly say I have never had a hotel room that was as clean as this room was. Manager said hotel was going thru a complete renovation. Kudos on room 106 and a really nice lobby. If you are looking to economize and aren't fussy, this place is great! The staff is friendly, the room was clean, somewhat dated. The breakfast was the typical- make your own waffle, eggs, sausage, assorted cereals and apple and bananas for fruits. It was perfect for us because we were out all day sightseeing and had a comfortable place to go at the end of the day. My only complaint would be the fitness cneter needs improved air conditioning . This might be improved by now as they were waiting for a part by mail to fix it. This 2 floor hotel is located almost midway between Hart and Beulah in a quiet country setting. Room amenities were very good but be aware rooms have no microwave or frig. Breakfast was the usual egg patty and bacon or sausages. Other standard choices available including waffles and fresh fruit. One very nice perk: the chocolate chip and oatmeal raisin cookies available daily from 4 pm onward. Beds were quite good - neither too soft or too firm. We slept well. A most pleasant hotel experience and highly recommended. Clean, clean, clean! Beautiful view of the countryside and staff accommodating. The girl who took my phone reservation had a bit of trouble processing it, but was very nice about it. Good value for area and season (fall color). Thank You for your feedback. We truly appreciate an honest assessment, through which we can serve you better! "Just an over nite stay"